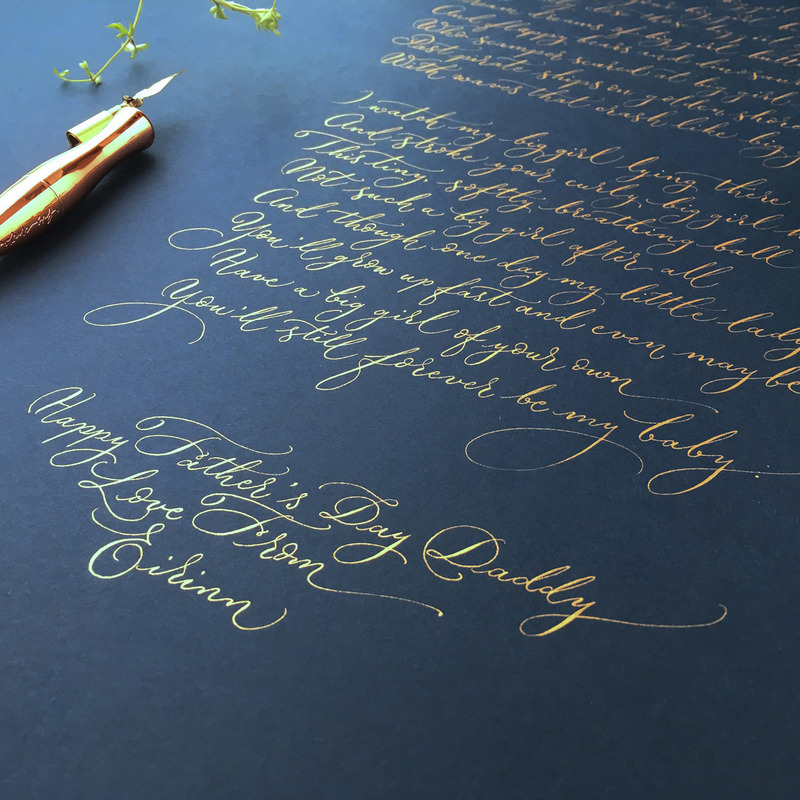 This commission was a gift for Fathers Day – from a previous customer who I remember working with back in 2014! 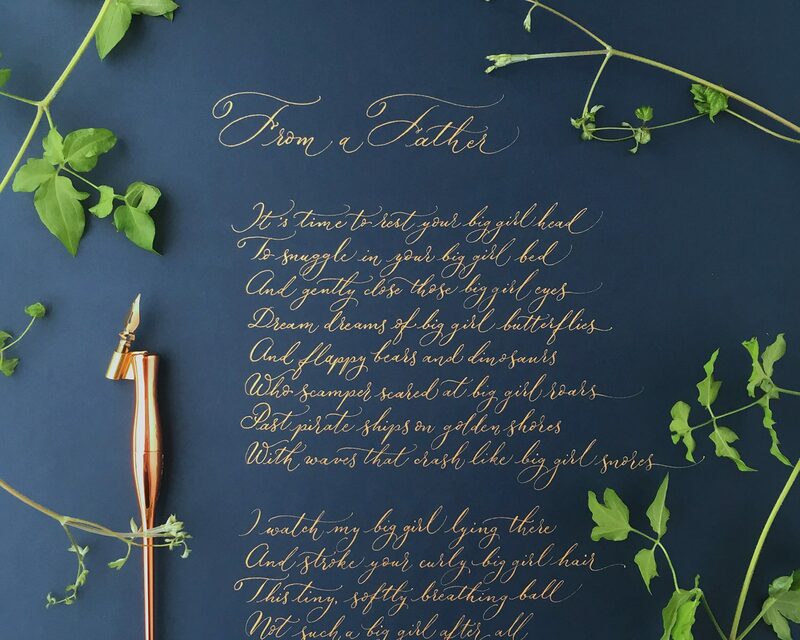 Lovely Sarah had tracked me down through various website changes and a house (and telephone number) move – and had an idea for a poem commission for her husband for Fathers Day. 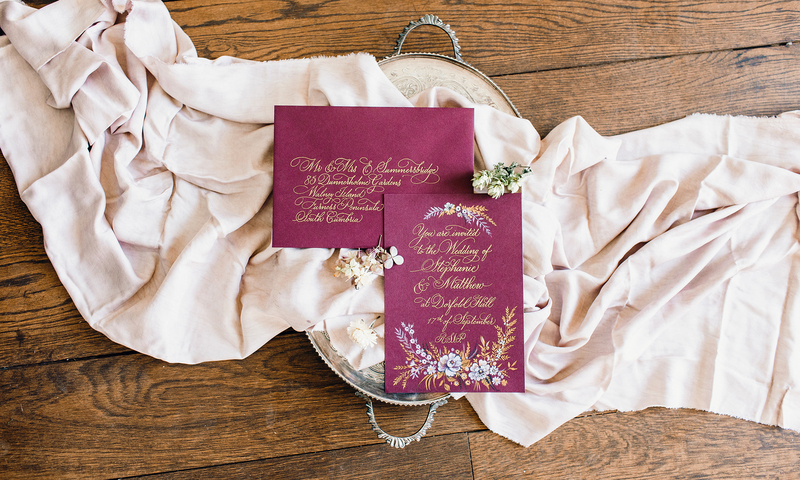 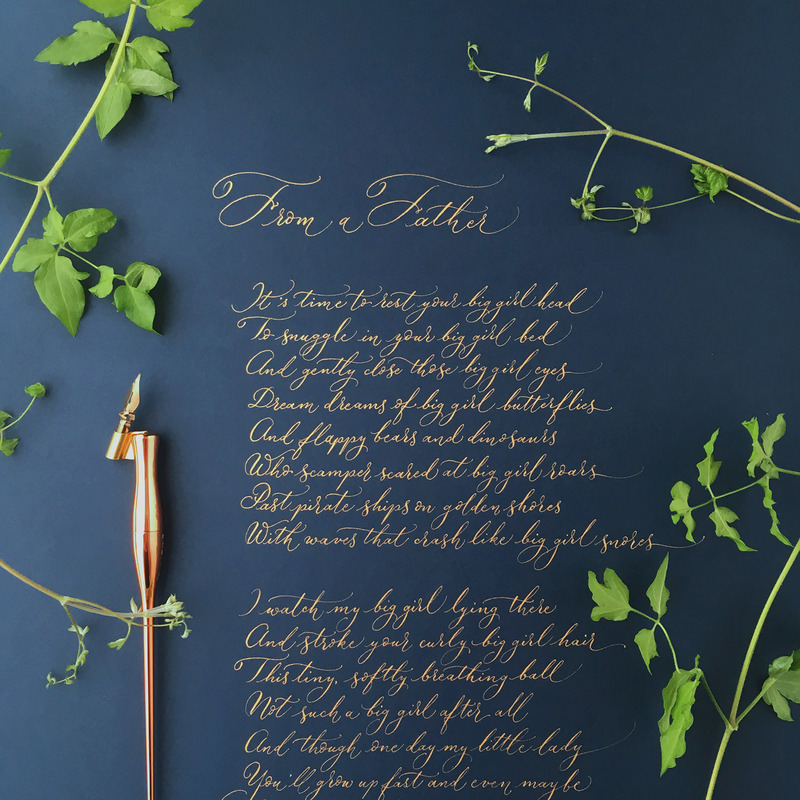 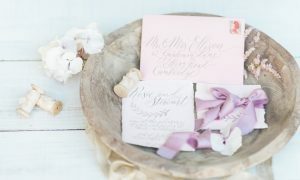 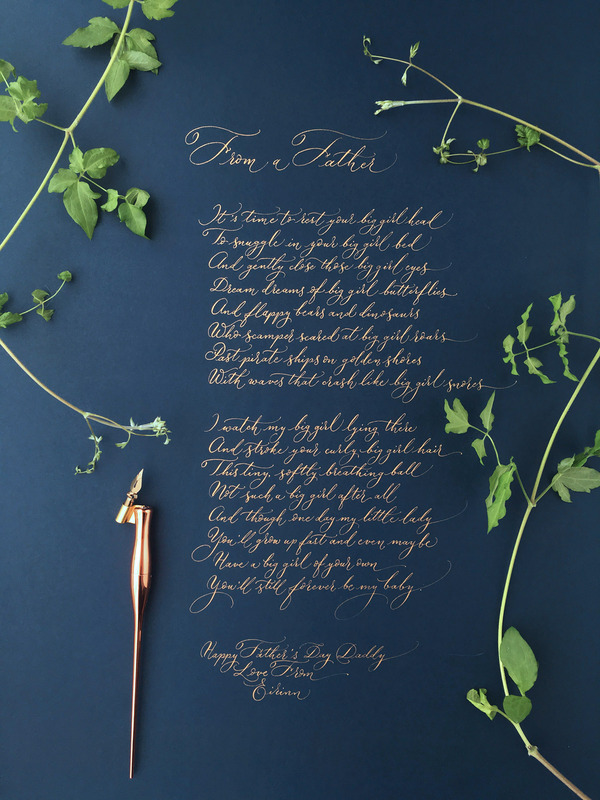 He’d written a really special poem for his daughter, which she had plans for… We had a brief email chat and Sarah was smitten with the idea of gold ink on a navy blue background. 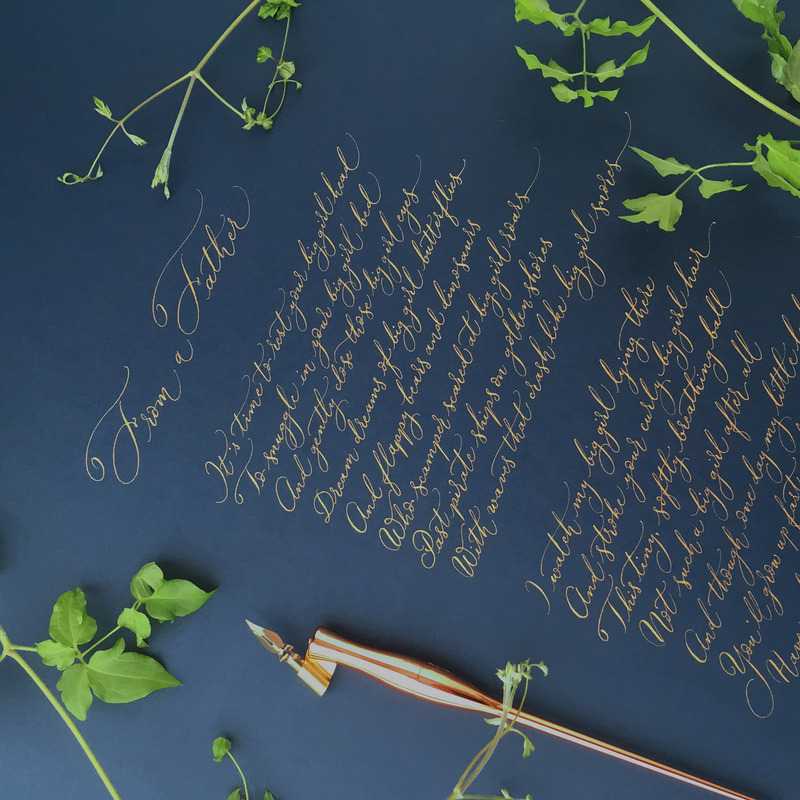 The lettering style is modern and organic, and the words are beautiful – I can’t take any credit for that, I only hope I do them justice.